This charming ground floor room is situated just off the private bar area, T.V lounge and dining room. With just 2 steps into the room it is ideal for the less able guests. 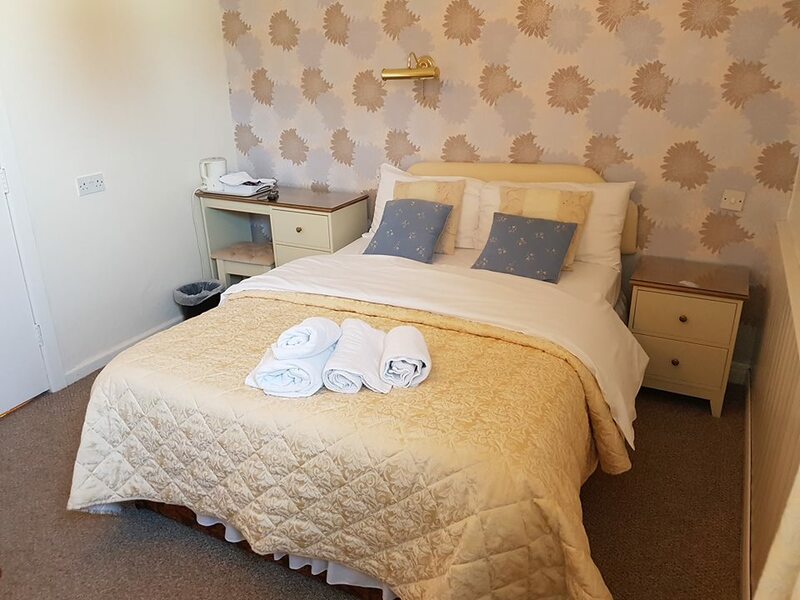 The room has a comfortable double bed with en-suite facilities consisting of a toilet, shower and wash hand basin. A selection of complimentary toiletries are provided. In the bedroom there is plenty of storage for your clothes and belongings. There is also a remote control TV with DVD player and built in free view. We provide a fully stocked tea and coffee tray and fresh towels every day. Free WiFi and a hair dryer are also provided.